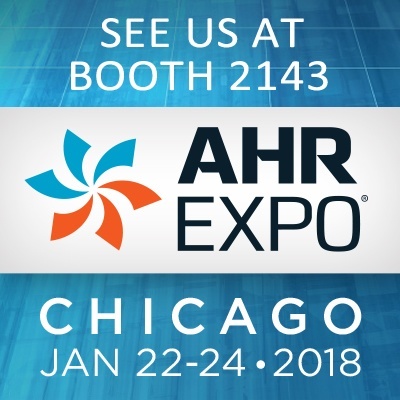 The AHR Expo is one of the industry's largest HVACR tradeshow! This year is will be hosted in Chicago on January 22-24, 2018. We want to show you our latest innovations so stop by our booth for industry leading products. Innovation and efficiency is what we're all about. Check us out at Booth #2143.